From Abdul Qader Obaydi's recent interview he disclosed that Iraq is looking to buy updated czech L159s for combat purposes. The L159 ALCA "Advanced Light Combat Aircraft. It is a small single seat development of the L59 trainer aircraft. Its equipped with a Grifo-L radar. Re: L159 for the Iraqi air force. The Czechs produced 72 of these planes. and around 48 are available for sale today. They are relatively new airframes (about 10 years old). In addition to these ready airframes, the type is still produced (for Hungary at the moment). So in theory Iraq can get 48 relatively new airframes immediately, followed by new built airframes later on. It is surprisingly compatible with better weapons (IRIS short range AAMs) than Iraq's upcoming F16IQ! The L-159 is designed for minimum requirements on supporting facilities. The Integrated Logistic Support (ILS) program provides the Air Force with cost-effective supportability and early operational self-reliance. The ILS is customized in order to maximize utilization of existing infrastructure. The L-159 aircraft is equipped with advanced and complex data loading and recording systems. These systems facilitate highly efficient mission planning and detailed post-flight evaluation and mission debriefing. Associated ground equipment supports effective planning of both combat and training missions. Complex ground based training is another strength of the L-159 Combat and Training System. Training aids range from training manuals to a full mission simulator and effectively support cost-effective training of today’s and future military pilots. The Czech Republic might sell up to 25 Aero L-159 ALCA (Advanced Light Combat Aircraft) subsonic fighter aircraft to Iraq, according to Prague Monitor. The deal requires approval from the U.S., which supplied avionic equipment to the planes. According to some information, Czech Foreign Minister Karel Schwarzenberg discussed the issue on his visit to the USA recently. “The Czech Republic has for a long time been trying to sell its [redundant] L-159s on the foreign market. It is a quality aircraft with a broad training and combat potential. Apart from the Czech military, it could definitely prove itself elsewhere in the world. I can confirm that one of the countries that are interested in L-159s is Iraq,” Jan Pejsek, head of the Defence Ministry’s press department, as is quoted as saying. Aero L-159 ALCA (Advanced Light Combat Aircraft) is a light combat plane primarily designed for attacks on ground targets and for direct support of ground units. It can also be used for aerial reconnaissance and combat. The Czech Republic government originally ordered an advanced, westernized variants of the subsonic L-39/59 and had contracted with the manufacturer Aero Vodochody of this aircraft for the purchase of 72 L159A aircrafts and the first was delivered in April 2000. All 72 were delivered by the end of 2003, but by the reduction in defense expenditure government has decided to dispense with about 47 aircrafts and offered for sale. Failed negotiations to sell 5 planes, to Bolivia due to USA refused to export permission of U.S. equipments (avionics system and engine) for the L159’s to Bolivia.. Question is this the desire of Iraq - U.S. to buy this aircraft? Or is it a result of the commission paid for purchase such aircrfts?. Well. Iraq is looking to buy initially about 24-25 advanced trainer / light attack aircraft. Korean T-50 golden Eagle (they said they will buy it... but haven't yet). They went to Britain and had a look at the new Hawk trainer (once again haven't bought it). Now they're looking at the L159 from Czech republic. When they will actually buy one of these is unknown. I still haven't seen any evidence of Iraqis testing the M436, Yak130 or L15, but out of these aircraft my personal preference would be for the Korean T-50 Golden Eagle. Its a true Advanced trainer / Light attack aircraft with Mach 1.5 supersonic capability as well as more modern avionics than the other options, and a higher bombload / endurance. 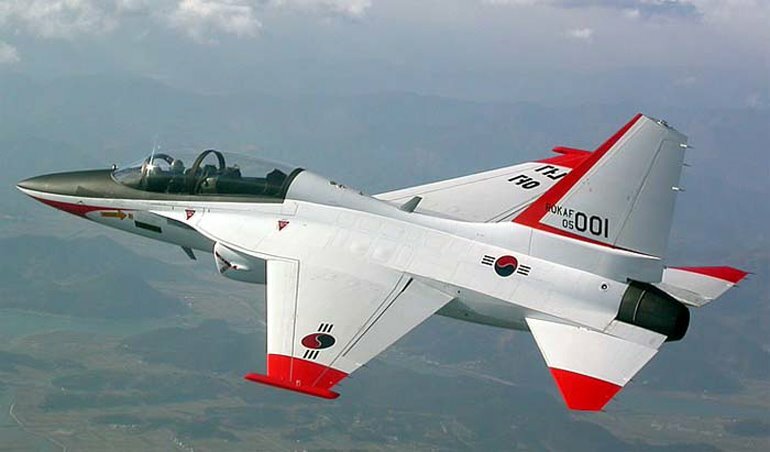 Must be noted the South Korean manufactur company of the plane T -50 has chosen an Israeli-made radar Perhaps this was an indirect cause of the cessation of Iraqi attempts to get this plane. Well,We can make a comparison between the specifications of each of these aircraft on paper of course! Bombs: Mk 82, Mk 83, and Mk 84 general purpose bombs with SPICE, JDAM, or JDAM-ER guidance kits; CBU-97/105 sensor fuzed weapons, laser-guided bombs. The Yakovlev Yak-130 (NATO reporting name "Mitten") is a subsonic two-seat advanced jet trainer/light attack aircraft developed by the Yakovlev design bureau. Development of the plane began in 1991, and the maiden flight was conducted on 26 April 1996. In 2005, it won a Russian government tender for training aircraft, and in 2009 the first planes were put into service in the Russian Air Force. As an advanced training aircraft, the Yak-130 is able to replicate the characteristics of several 4+ generation fighters as well as the 5th generation Sukhoi T-50. It can also perform light-attack and reconnaissance duties, carrying a combat load of 3,000 kg. 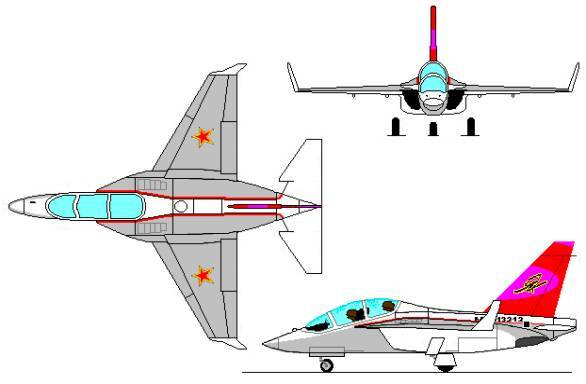 In the early 1990s, the Soviet government asked the industry to develop a new aircraft to replace the Czech-made Aero L-29 Delfín and Aero L-39 Albatros jet trainers. Five design bureaus put forward proposals. Among them were Sukhoi's S-54, Myasischev's M-200, Mikoyan's MiG-AT, and Yakovlev's Yak-UTS. In 1991, the other proposals were dropped and only the MiG-AT and Yak-UTS remained. Yak-130 is an advanced pilot training aircraft, able to replicate characteristics of Russian 4+ generation fighters, as well as the Sukhoi T-50 fifth generation fighter. The developer estimates that the plane can cover up to 80% of the entire pilot flight training program. In addition to its training purpose, it is also able to function as a light-attack and reconnaissance plane. It can carry a combat load of 3,000 kg, including weapons, auxiliary fuel tanks, weapon guidance, electronic intelligence and electronic countermeasures pods. According to its chief designer Konstantin Popovich, during a testing phase that ended in December 2009, the plane was tested with "all airborne weapons with a weight of up to 500 kg that are in service in the Russian Air Force". The twin engines are mounted under extended wing roots, which reach as far forward as the windscreen. Originally the AI-25 engine was selected, but this was later changed to the Klimov-modified RD-35M rated at 2,200 kg (4,850 lbs) thrust each. The export version or future variants can be fitted with the L'yulka Saturn Al-55 engine if chosen by the buyer. Russia 150 orders, to be delivered in 2009-2015. First production aircraft received in late July 2009. Russia has a total requirement of 200 aircraft, Algeria 16 ordered, Libya 6 on order, Vietnam 8 on order?. And Syria negiotiating for purchase. On 29 May 2010, one aircraft crashed near Lipetsk during testing. 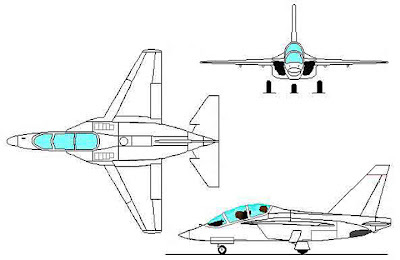 The aerodynamic design of the M-346 uses vortex lift to provide manoeuvrability and controllability at very high angle of attack (up to 40° degrees) using a fly-by-wire control system. The Hawk 128 is the new Advanced Jet Trainer (AJT) for the RAF and Royal Navy. The Mk. 128 includes modern LCD displays instead of conventional instrumentation, and allows preparation for flying modern fighter aircraft, particularly the all "glass" Typhoon. It uses the Rolls-Royce Adour 951 engine. The UK Ministry of Defence awarded a Design and Development Contract to BAE Systems on 22 Dec 2004, building on the design of the Australian Mk. 127 and the South African Mk. 120s. A £450 million contract was signed in October 2006 for the production of 28 Hawk 128s. The MoD had originally announced its intention to order 20 aircraft with options for 24 more. The aircraft's maiden flight occurred on 27 July 2005 from BAE Systems' Warton Aerodrome and lasted for 1 hour 18 minutes. Note: all armament is optional. Czech Republic has offered to deliver 36 L159 Advanced Light Combat Aircraft to Iraq. Prague - Czech Prime Minister Petr Necas will offer Iraq subsonic L-159 assault planes and the upgrading of helicopters during his visit to Iraq in May, Foreign Minister Karel Schwarzenberg said after a meeting with his Iraqi counterpart Hoshyar Zebari today. Schwarzenberg said the Czech Republic is also interested in closer economic cooperation with Iraq. It would like to participate in the modernisation of Iraqi oil mining equipment. That is why Necas is to be accompanied on his trip to Iraq by the industry and trade minister. Schwarzenberg and Zebari also spoke today about the situation in Arab countries where protests against the ruling regimes have bene held in the past months. Necas is to go to Iraq on May 23-24 and sign there an agreement on mutual protection of investments. The Defence Ministry announced in January that it wants to sell this year 36 subsonic L-159 ALCAs that the Czech military does not need. Defence Minister Alexandr Vondra said previously Iraq is one of the countries with which the Czech Republic is discussing the sale. Iraq is ready to buy light attack aircraft, offered for sale by the Czech republic earlier this month, Iraqi Prime Minister Nuri al-Maliki said after talks with his Czech counterpart in Baghdad. The visit to Baghdad by Czech Prime Minister Petr Necas, which began on Monday, focused on bilateral economic and political cooperation. In mid-April, the Czech Republic announced its plans to offer Iraq 24 L-159 combat aircraft and help in modernizing the Iraqi helicopter fleet. The single-seat L-159 ALCA is a light multi-role combat aircraft designed for a variety of air-to-air, air-to-ground and reconnaissance missions. The jet was developed in the late 1990s by Aero Vodochody on the basis of the proven airframe design and aerodynamic configuration of the L39 Albatros and L59 family of combat trainers. The aircraft is equipped with an advanced multi-mode radar for all-weather, day-and-night missions and can carry a wide range of NATO-standard payloads including air-to-air and air-to-ground missiles and laser guided bombs. The L159 ALCA is based on the proven airframe design and aerodynamic configuration of the L39 Albatros and L59 family of basic and advanced jet trainers, and incorporates a high-performance military turbofan engine, advanced avionics and sensors. The operational capabilities of the aircraft include close air support, tactical reconnaissance, air defence, counter insurgency, border patrol, anti-ship missions, and lead-in fighter and weapons training. 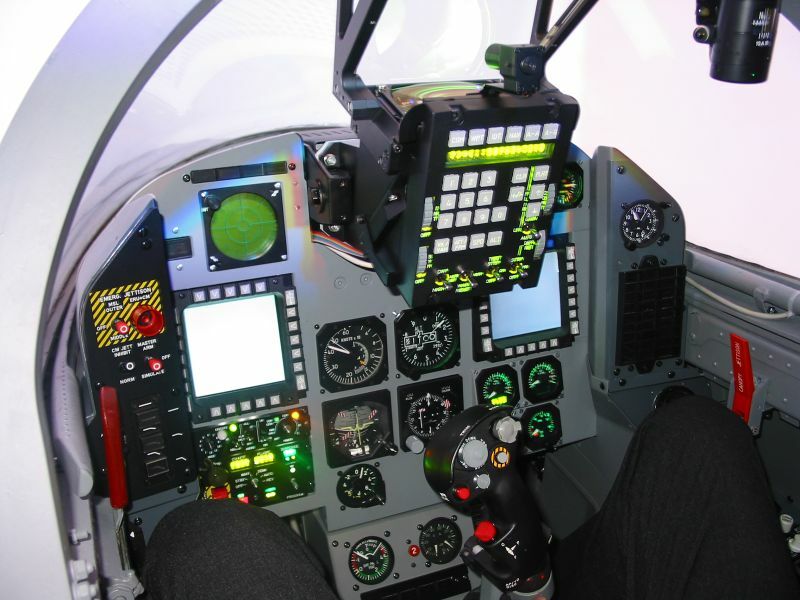 The cockpit arrangement and controls correspond to a modern fighter aircraft configuration. The Flight Visions Head-Up Display (HUD) with raster capability is the primary flight instrument and weapon aiming system. The multifunction colour displays are used for the display of flight and navigation information and weapons systems status. The Hands-On Throttle And Stick (HOTAS) control enables both pilots to control the aircraft without removing their hands from the throttle or the control stick. The cockpit is protected with composite and ceramic ballistic armour. Survivability is also increased by the provision of a fuel tank inerting system, an On-Board Inert Gas-Generating System (OBIGGS). VS-2 zero ejection seats and a canopy jettisoning system are fitted. The standard aircraft configuration also includes an On-Board Oxygen-Generating System (OBOGS). The aircraft is equipped with a Hamilton Standards Stores Management System. There are seven hardpoints to carry stores: three under each wing and one under the centre fuselage. These are capable of carrying a wide range of NATO standard weapons, including AIM-9 Sidewinder air-to-air missiles, AGM-65 Maverick air-to ground missiles, rockets and free-fall bombs, a gun pod, laser-guided bombs, reconnaissance pods, electronic countermeasures pods and fuel drop tanks. The system is adaptable for the future addition of new weapons, including medium-range air-to-air missiles and special pods for ECM, reconnaissance, night navigation and targeting. The L159 ALCA's electronic warfare system consists of the BAE Systems Sky Guardian 200 radar warning receiver and the Vinten Vicon 78 series 455 countermeasures dispensing system. Provision is made for the installation of an electronic countermeasures (jamming) pod. The avionics system meets multi-mission requirements and provides capabilities similar to current-generation frontline fighter and ground attack aircraft. Avionics integration is via a MIL-STD-1553 databus, which facilitates future growth. The avionics system performs the following functions: target sensing, controls and displays, stores management, communication, navigation and identification, self-protection, and data loading and recording. The L159A aircraft is equipped with a Grifo-L multimode pulse Doppler radar produced by the Italian company, FIAR. For air-to-air search the radar has five modes of operation, can track up to eight targets and has track-while-scan capability. There are four submodes for air combat and nine modes for air-to-surface operations. The L159B is fitted with an electro-optical sensor or laser designator in the nose. The aircraft's autopilot and yaw damper, supplied by BAE Systems Flight Controls, has Stall Avoidance System mode (SAS), automatic attitude hold (ATT HLD), heading hold (HDG HLD), altitude hold (ALT HLD) and Control Stick Steering mode (CSS). The Aircraft Monitoring System (AMOS) collects, processes and records data about the aircraft systems and aircraft loading, and provides automatic data retrieval and data transfer, via a Fairchild data transfer system, to the aircraft maintenance management system. The aircraft is equipped with a Honeywell ITEC F 124-GA-100 engine developing a maximum thrust of 28kN. The F124 is a two-shaft non-afterburning turbofan engine with three-stage LP axial compressor. The HP compressor has four axial stages followed by one centrifugal. An Engine Monitoring System (EMS) is embedded in the dual Full Authority Digital Engine Control (FADEC) to store mechanical and performance data during flight, and has the capability to provide analytical and condition check-out on the ground. Aero Vodochody is flight testing L-159 aircraft equipped with an in-flight refuelling probe. The L159 can climb at the rate of 47m per second. Its maximum speed is 936km per hour. The range and service ceiling of the aircraft are 2,530km and 13,200m, respectively. Its take-off run is 440m. HI Mirage F1. a couple of corrections. Boeing is involved in the L159 project. (Lockheed Martin was with the T50 project). The L159 is not supersonic unfortunately. I think that the L159 was chosen because it is very cheap and available immediately (as well as Iraq has previous experience with its "grandfather" the L39. The T50 would take 2 years to deliver and cost about $600M in total. The L159 can be delivered in 6 months and cost maybe $250M total. Easy to make a choice there. كان 'شك' فريق القوة الجوية الاندونيسية التقني هو المستقبل على المدى الطويل للطائرة (وخاصة منذ أن الجيك نفسها لم تظهر رغبة خاصة بها للحصول على مزيد الطائرات في الإنتاج للاستخدامات الخاصة بهم)،.